You know what I love the most about John Wick? It’s so bloody nice to watch a modern action feature where I don’t have to listen to every morsel of dialogue to appreciate the whole story. In this grand age of pseudo-intellectualism, so many of our action heroes have become caught up in a desperate battle to be more articulate than arse-kicking, more poetic than punishing, more conflicted emotionally than combative. And I have to be honest, these philosophical meanderings have become so bloody trite of late - especially when scant few of these films are actually as smart as they tout themselves to be. So hats off to the original John Wick - a 100-minute meme of an action movie that was so simple in its delivery and so brutal in its serving of bone-crunching, bullet-blasting satisfaction that it deserved to be a runaway success. By and large it was, and now we have a sequel for it - one that pledges to expand on the ‘world’ of the first movie’s pulp-crime tale of pet-fuelled revenge and ludicrously larger-than-life criminals. It could easily tank in the attempt too - so many follow-ups to cult classics have done so in the past - but fortuitously, this second chapter of Keanu Reeves’ quietly lethal executioner-for-hire comes out even better than its predecessor. In fact, it even lays the foundations for a deeper saga to evolve - and even now I’m incredulous that such a thing could actually happen for this most preposterous of action franchises. For those of you out of the loop, 2014’s John Wick pitched an openly parodical trope for a plotline - that of a lone man (Keanu Reeves) out for revenge over Russian mafia thugs for killing his puppy - previously given to him by his dying wife to help him cope with her impending death - during a botched attempt to steal his car (an admittedly pretty sweet 1969 Boss Mustang). And if you feel I missed any other details here, you’re mistaken - that is the entire crux of the movie. But along the way, we were able to get a deeper glimpse into John’s life besides being a man torn between mourning for his losses and exacting bloody vengeance - we also found out that he’s a member of a mysterious collective of underworld assassins whose central hub for business negotiation and residence lies within the backroom lounges of the Continental Hotel, an otherwise typical high-end place of accommodation offering luxury and little else in the way of mystery. John is no stranger to the Continental’s world of criminals, contract killings and other dirty jobs that need doing either. As a former assassin, he knows all about the murky world of the Continental and, save for using it to exact the odd bit of personal justice (as indicated by the first movie), no longer wants to be a part of it. It’s an attitude he retains in this second movie too - until he’s reminded by an old client that he still owes a debt. Italian mafia overlord Santino D’Antonio (Riccardo Scamarcio) requests of him one final favour - to ensure the death of his sister Gianna (Claudia Gerini), a fellow cartel dignitary who has taken what he believes to be his rightful seat at the High Table, the grand union of the world’s most powerful criminal bosses. The mafioso has a literal bargaining chip with which to ensure his demands gets met, too. He’s the man responsible for enabling Wick’s first escape from the criminal underworld to a peaceful life with his now-deceased wife (and dog), and in the process of achieving that, earned himself a Blood Oath Marker - a physical token indicating a debt sworn in the red stuff - so that Wick would ‘pay’ him back at a future date. When Wick then refuses to honor the debt, Santino coerces him into complying with a simple gesture that’s par for the course with this film series - he RPGs his house to the ground. 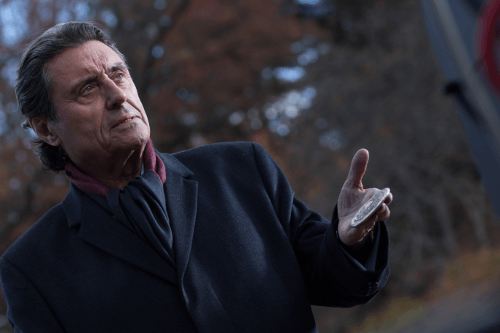 Now suffering with the loss of his home, Wick is ready to take the road to revenge once again - until he is reminded by the Continental’s owner, Winston (Ian McShane), that debts owed by Blood Oath Markers must always be fulfilled. Wick is therefore left with little choice but to complete Santino’s request, but nobody mentioned that a bit of personal score-settling couldn’t be had upon completion of the job - and if there’s one thing John Wick has proven himself to be pretty good at, it’s settling personal scores. Viewers of the first movie will be pleased to know, therefore, that the storytelling surrounding Wick’s second furore into blood-letting carnage isn’t any less ridiculous. For those new to this budding movie series, all I can say is: welcome. If you’re into action movies that deliver huge on explosions, fights and a seemingly endless flurry of gunfire that is punctuated with just a light sprinkling of plot exposition, you will find nirvana in the straightforwardness of this second escapade. In short, Chapter Two’s action scenes are swift, numerous, and repeatedly exhilarating. 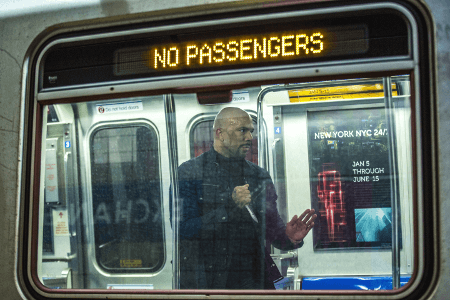 This is no more demonstrated than by the physical fight sequences of the film - a case in point being the opening scene of Wick attempting to get his car back from the remaining Russian gangsters of the first movie. It’s a tremendously choreographed sequence that involves Reeves pummeling and out-maneuvering his way through a number of bruising thugs in visceral, stunt-laden style, and it’s a scintillating initial gambit that is as typically and intentionally overblown as anything the franchise has given so far. It’s still impressive to see that a 52-year-old Keanu can blaze through such breathless, hard-hitting sequences in effortlessly cool fashion, and it’s a fantastic statement for the standard of the action to come - a standard whose sense of timing and unflinching penchant for bone-crunching brevity enable it to far transcend those of its punch-throwing peers. Best of all, it only marks the film’s starting point - it already sets a ridiculously high bar, but it’s also one that the film goes on to surpass a number of times, making this an absolute riot from the get go. It also maintains this level of ultra-violent euphoria by sticking to the same action movie caricaturing that the first film succeeded so well with. 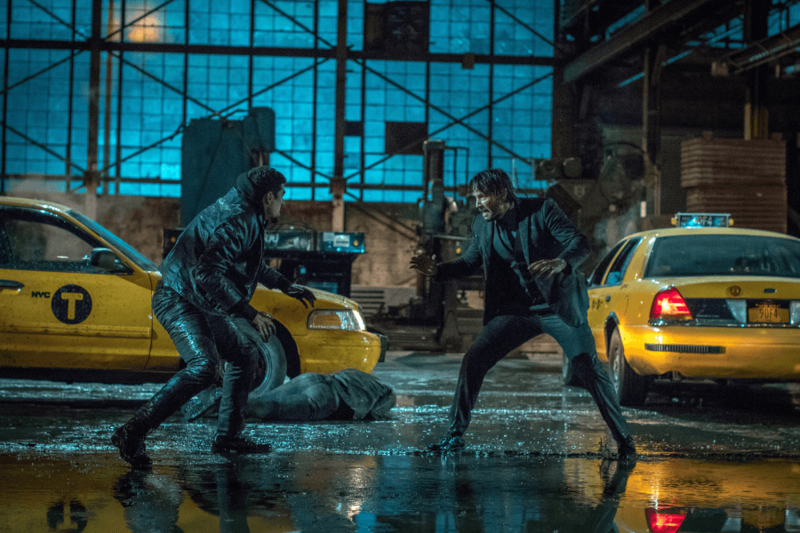 Even if his mission has changed and the context of the motives have switched, John Wick is still a exaggerated image of the tough guy on the edge - a man of few words, but plenty of aggression. He’s still the same John of the first movie, and ergo, Keanu’s performance is very much the same as well. In fact, there’s very little to see in his baritone personification of the world’s most dangerous assassin that you haven’t seen in characters from any of his previous movies - love him or hate him. But in the case of playing an uncomplicated anti-hero with uncomplicated goals - and with a whole lot of angst hiding behind his shoot-first-questions-later nature - Reeves continues to be a perfect fit for this marauding comic book-worthy avenger, and fans of his previous work will enjoy him on good form here. The same goes for the other big names on offer too - Ian McShane returns as Winston to give a typical McShane performance of laidback badassery, while the appearance of Laurence Fishburne as Bowery King, one of NYC’s many criminal kingpins, means we get to see both he and Reeves on screen for the first time since the heady days of The Matrix, almost 20 years ago. It is, all things considered, more of a footnote moment to the movie than a cornerstone, but it is still great to see them reprise their old chemistry, and you can definitely tell Fishburne enjoys his role just as much as we’re enjoying the reunion. Even after the more recognizable names, there are still a number of good showings among the menagerie of cameos and support characters that pop up during this second outing to keep its tempo ticking nicely. Much of the script in Wick: Chapter Two is just as short, direct and shallow as it was the first movie - but it also retains its succinctness, and therefore its pace and clarity. Granted, there doesn’t really need to be much clarity for a movie series primarily about an angry man out for revenge against a horde of crime syndicate jobsworths, but it is nonetheless appreciated that it’s there - and it does enable its cast to put in performances that exceed the boundaries of the basic characters they’re given. 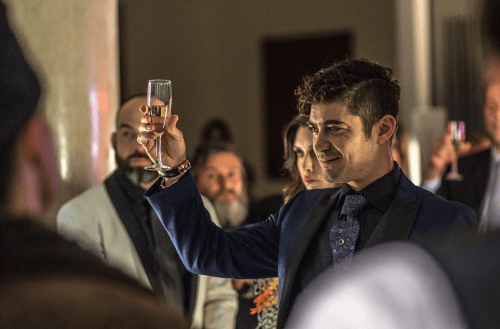 Riccardo Scamarcio may be playing a very stereotypical mafia figurehead as D’Antonio but he is still an effective villain in a film where practically every character is a stereotype - conniving and short-tempered, he provides a noticeable enough contrast to his nemesis’ placid temperament for his final scenes with Keanu’s Wick to have a lasting effect. Same goes for his on-screen sister Gianna, whom Claudia Gerini portrays for just two brief scenes, but does so with a convincingly classical sense of tragedy - offering a surprisingly impactful closing scene to the film’s halfway point. Ex-rapper Common steps up in the film’s pivotal second chapter as Cassian, Gianna’s no-nonsense bodyguard, and British comedy actor Peter Serafinowicz continues to make good work of his brief role in Guardians of the Galaxy to pop up here as a gun shop sommelier. 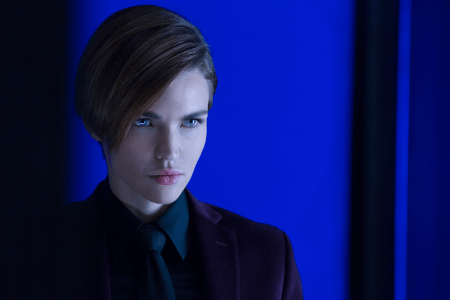 There’s even an appearance from Ruby Rose as Ares - Santino’s mute, sign-language wielding chief enforcer, which manages to be a memorable one without her even saying a word. All of these fleeting appearances could be considered a gimmick for a movie seen by some as a mere collection of riffs and rip-offs from other action movies. But the fast-moving dialogue, pacing and the necessity of only fleshing out these characters just enough for them to be interesting dispel any notion that this a movie intent on merely being a parody of itself. It is indeed farcical, but intentionally so in a way that Quentin Tarantino’s later movies are. It also manages to achieve such a tone without any of the smug arthouse winks that Tarantino’s films hinge themselves upon. Essentially, this is Kill Bill with twice the fun, half the pretentiousness, and all of the overstated violence - to say it’s better might be a stretch, but it is certainly a purer version of the formula. And, dare I say it - we might actually be able to take the character himself seriously now. In amongst Wick’s war with Italian dons, we also get to see more of the inner workings of the Continental Hotel and its purpose as the criminal underworld’s global hub. It's just one of the many mysteries that are beginning to emerge in this burgeoning universe, and the swift, well-worked cliffhanger of an ending also pretty much guarantees that we’ll be getting another sequel where it’ll be sure to tease additional tidbits. 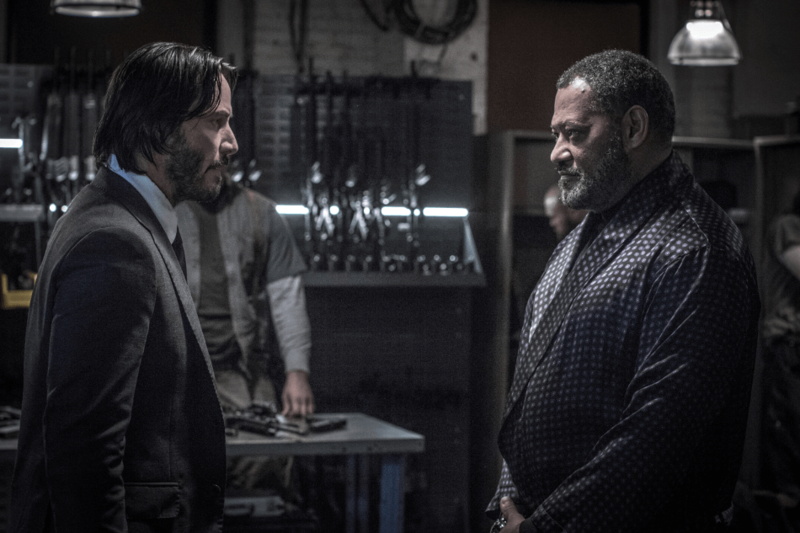 Granted, it probably still won’t be enough to answer all of the questions, but when it comes to storyline, John Wick has always been about less meaning more, and questions perhaps being unnecessary. It could even be a meta-modernist James Bond if not for its overt sense of farce and silliness. 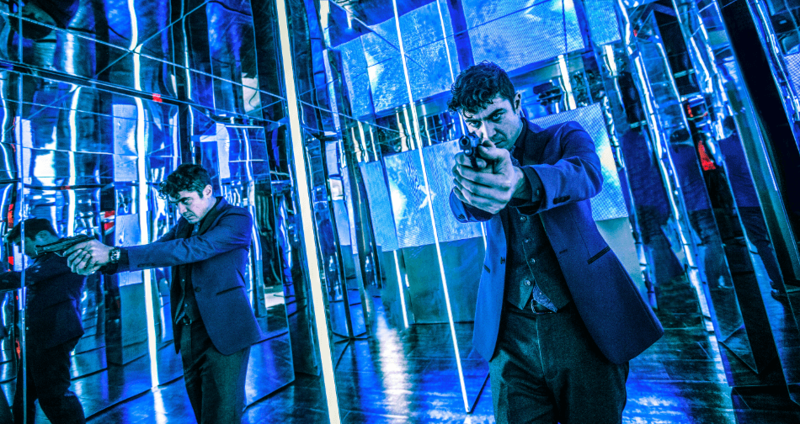 But when the action comes as wild, relentless and as immaculately choreographed as this, one thing that is certain is that John Wick: Chapter Two is, at the very least, a thunderous ride of a sequel. 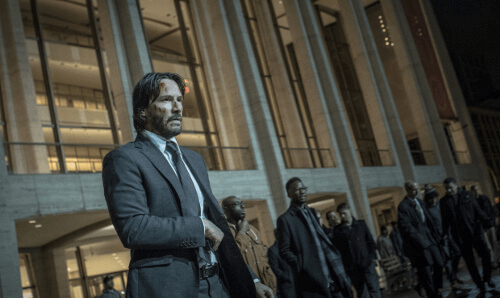 John Wick: Chapter Two is currently showing all major theaters.